People dressed in spiffy suits, served by the most professional of waiters in a formal dinner by candlelight. There aren't a lot of places to bask in such an fascinating experience in York Region, but one establishment has done so for a very long time in one part of Markham. A friend of the family's highly suggested we try Peter's Fine Dining, which is a well-known restaurant on Highway 7 in the heart of Old Markham. They take pride in their product, having served this city for over three decades. I started with Marinated Herring Bismarck; a scrumptious and sour appetizer that satisfies the urge for well-prepared fish in a traditional European manner. With the various sides that are part of the starters (like pickles, olives and garlic bread), it almost felt like an antipasto in a sense. 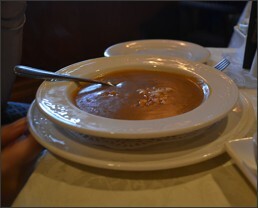 Next came Lobster Bisque - a thick hearty soup that contains the essence of what I think is a formidable marine creature. Dark in colour, deep in flavour, and with bread would have been an incredible meal in its own right. My main was a Filet Mignon, which I found out was a very delicate piece of beef that should never be served well done. I ordered mine's medium rare, with just a bit of blood oozing out. The service is incredibly attentive, with waiters bringing various assortments of seasoning and refreshment before we even thought of a need for it. 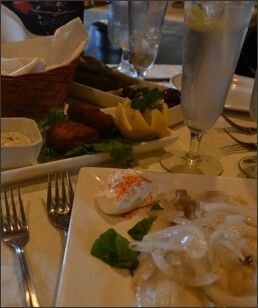 Even the horseradish was specially prepared and issued by a kind man. After all that food, one would expect for the bill. 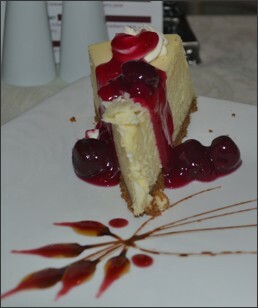 Nope, for dessert, I sinfully indulged in a slice of New York Cheesecake without any regret. I was joyfully stuffed. As in "get stuffed" stuffed. I must find this "Peter". He has created an incredible restaurant that Markham is not worthy of. I had Baltimore Crab Cakes as an appetizer. The taste was acceptable for my liking, and it wasn't packed; rather delicate. The Lobster Bisque, however, was a tad salty. You don't recognize that until the third or fourth spoonful, but it did capture the flavours of lobster. 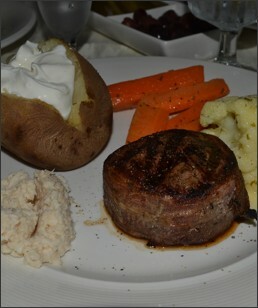 I also had Filet Mignon, and it was very nice as it was cooked perfectly in a good bacon. The drinks menu was irresistable, so I ordered a Chocolate Kiss Martini which contained a quality vodka and Grand Marnier, with some chocolate kisses to top it all off. The first couple of sips packed so much power, I couldn't fully "make out" with this kiss. 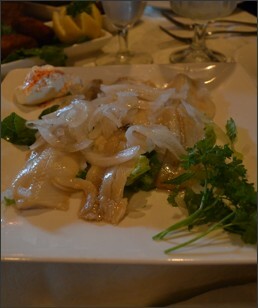 It all came with amazing service which is second to none in this part of York Region.